The galop pattern ends in an open position. The waltz-galop normally does as well, but it can also be ended elegantly at the end of the music by a close of the feet rather than a cut. This alteration of the relationship of movements to music in dances of the "new waltz" family is what makes these variations interesting to me. Please see my original posts for a little more information about the waltz-galop (here) and the Newport (here). Russia has been much on my mind this week as I assembled a short presentation on on the influence of Russia -- or ideas or images of Russia -- on dance in France and England in the nineteenth century. I didn't touch on America, but at the end of the century dancing master M. B. Gilbert, in his Round Dancing (Portland, Maine, 1890), included some dances with Russia-related names. One of these was called, simply enough, the Russia. Gilbert attributed it to Pittsburgh dancing master J. S. Christy. The Russia was also included in George Washington Lopp's La Danse (Paris, 1903), which was in large part a French translation of Gilbert, under the literally-translated title "La Russie" and attributed to "S-A Christy". Despite the name, I don't see any actual connection between the dance and the country. The Russia is a classic back-and-forth-then-turning sequence dance intended for mazurka music. It features two mid-dance bows, as pictured at left in an illustration from Gilbert (click to enlarge). The steps include the polka redowa, the Newport, skipping, and walking steps. All of these elements could plausibly exist in a Russian dance, but there's nothing about them that is particularly unique to Russia in this era. My best guess is that the name is nothing more than a tribute to Russia, or to some idea of Russia. The dance, however, is rather fun, and it's interesting to have a sequence dance of this pattern to use with mazurka music. I keep saying that I don't think there's much need to memorize all the variations in sources like Melvin Ballou Gilbert's Round Dancing (Portland, Maine, 1890) in order to accurately reenact the social dance of late nineteenth-century America. But I keep reconstructing and posting them anyway, since I find there's often something to learn by examining how they're constructed. The dance published as the "Maniton", which I am fairly sure is a typo for "Manitou", has two elements that caught my interest: a major change between sources and an unusual use of the "new waltz", the late nineteenth-century version of the box step that I've been thinking and writing about recently. First, the name. In Gilbert, both the index and the title within the text are "Maniton". As far as I can tell, that just isn't a word. In the other source for the dance, George Washington Lopp's La Danse (Paris, 1903), much of which is merely a French translation of Gilbert, it is "Maniton" in the text but "Manitou" in the index. I think the latter is the actual name of the dance and/or its intended music. Switching "n" for "u" is a typesetting error I've encountered elsewhere. The Five Step York, created by Indianapolis dancing master D. B. Brenneke, is yet another of the myriad variations for the York, one of the more durable and popular redowa/mazurka waltz variations of the late nineteenth century. It builds directly on Brenneke's own New York sequence. While it is not a regular part of my "York set", the Five Step York is an easy little variation to add to one's York repertoire. I am aware of only two published descriptions of the Five Step York: in English, in M. B. Gilbert's Round Dancing (Portland, Maine, 1890), and in French, in [George] Washington Lopp's La Danse (Paris, 1903), where it is listed as "Le York à 5 Pas". Gilbert puts it under redowa/mazurka variations, and Lopp lists it as a mazurka. Much of Lopp is simply a translation of Gilbert, but he differs just enough to add either clarity or confusion to some of the descriptions. In this case, I believe that both Gilbert and Lopp have flaws in their descriptions, but I can make two reasonable guesses as to what the actual sequence should be. The New York is another of the myriad "redowa and mazurka" variations given in M. B. Gilbert's Round Dancing (Portland, Maine, 1890). Along with the Fascination, it is one of only a few variations credited to Indianapolis dancing master D. B. Brenneke. It reappears among the material translated directly from Gilbert in [George] Washington Lopp's La Danse (Paris, 1903), where it is listed as a mazurka and again credited to Brenneke. Gilbert gives both this "New York" and another dance called "The New York", making it unclear whether the name refers to the city or whether it is simply a new version of the York. Lopp lists it as La New York, along with two different dances called La Nouvelle York. 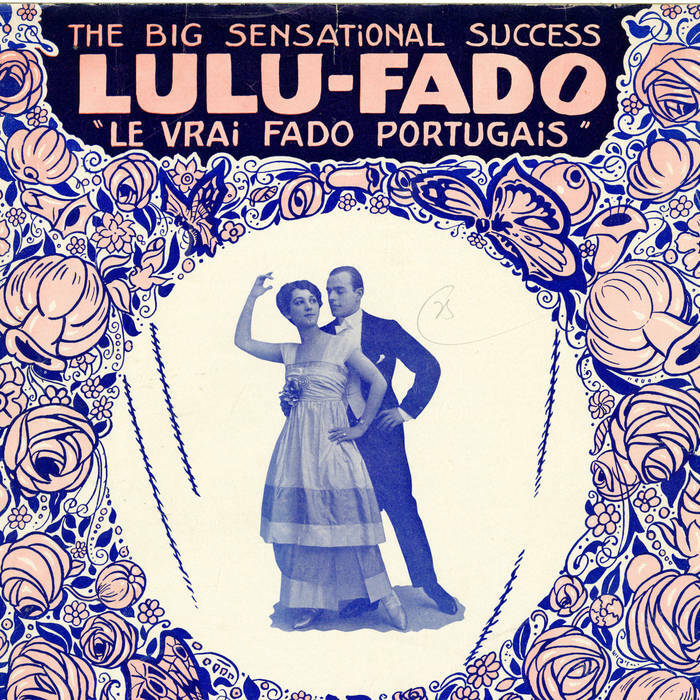 Lopp's translations suggest that the reference is to the city as much as to the popular dance. That might make it something of a pun, since the New York does include the characteristic sliding sequence found in the first measure of the York. Contradicting this is the appearance of the dance in the addenda of the fifth edition of William B. De Garmo's The Dance of Society (New York, 1892), where it is listed simply as "The York, No. 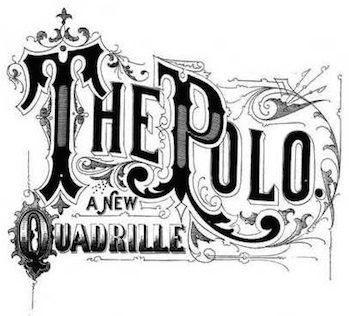 2", which leads one to the new-version-of-the-York interpretation of the title. De Garmo notes that "This method has become very popular." The Independent York is an interesting variation on the original York, albeit one that was probably rarely danced outside a studio context. I have found it in only two sources. The earlier is Melvin Gilbert's Round Dancing (Portland, Maine, 1890), where it is uncredited, suggesting that Gilbert himself created it. The later source is La Danse, by [George] Washington Lopp, published in Paris in 1903, much of which is simply a French translation of Gilbert. It appears there as L'Indépendant York and is credited to Gilbert. The sequence is identical in both sources. Gilbert classifies it, as he does the York, under "redowa and mazurka"; Lopp lists it as a mazurka. The Independent York is danced in 3/4 time, with four repeats of the rhythm "1&2-3 &1-2-3". Lopp gives a metronome tempo of 144 beats per minute. The dancers begin in a standard ballroom hold, the gentleman facing the nearest wall and the lady the center of the room. Above is the gentleman's footwork; the lady dances opposite. The last &123 is a polka redowa step. In four measures, one complete turn is made. The second half of the Independent York repeats exactly the same steps. What distinguishes it is that, in a very unusual move for a nineteenth century couple dance, the partners separate and turn away from each other, much like casting off as performed in early country dances. For the first two measures, the dancers release their hold and move parallel to each other, curving away from each other slightly. On the polka redowa in the second measure, they make a half turn, ending back to back and circling back against line of dance. On the repeat, they turn halfway at the beginning of the first measure to slide sideways against line of dance, facing each other, then come together again on the polka redowa of the final measure. The entire eight measures are then repeated as often as the dancers like. The Independent York is not entirely leadable with a dancer who does not already know what to expect, though a skilled dancer with fast reflexes might figure it out visually if the York step pattern has already been well established. But with a partner who already knows the move, the lead is easy: do a few normal York sequences to establish the pattern, then simply release the lady with a gentle push along the line of dance. Since the Independent York travels against the line of dance and takes extra space to each side, the gentleman needs to take care before starting the move to have sufficient room to execute the variation without interfering with other couples on the floor. I picked La Russe out some time ago while looking for easy late nineteenth century waltz-time variations. The name means "the Russian woman", and I recently had the pleasure of teaching it in Moscow to a very talented group of Russian dancers. No specific choreographer is known for La Russe, but we can date it with unusual precision to just over 130 years ago. Dancing master M. B. Gilbert, in his Round Dancing (Portland, Maine, 1890), noted that it was "introduced by the American Society of Professors of Dancing, New York, May 1st, 1882," and it turns up in a couple of other American dance manuals of the 1880s. All the descriptions are quite consistent, though the terminology used varies. A new waltz or redowa variation pops up in a few of the manuals of the very late nineteenth century. Presumably named after the wealthy resort town, the Newport appears in slightly different versions in different manuals, but the common element appears to be a series of quick sliding steps. The Invention of the York? A couple of months ago I described the late 19th-century waltz-time move known as the York, which incorporated mazurka-style heel-clicks and was considered a variation of the polka mazurka. At the time, the earliest source I had located was M.B. Gilbert's Round Dancing, published in 1890, where the dance was included "by permission of E.W. Masters," possibly its creator. An interesting article from The New York Times, dated September 9, 1885, both brings the date of the dance back a few years and provides an amusing anecdote about the dance's possible origin. The Yale University York is one of those dance variations that probably had a short to nonexistent life outside the studio of its creator and a few other dancing masters. Unlike the original York (described here), it seems to appear only in two sources: Melvin Gilbert's Round Dancing (Portland, Maine, 1890) and George Washington Lopp's, La Danse (Paris, 1903), much of which is merely a direct translation of Gilbert. Both Gilbert and Lopp attribute it to A.M. Loomis. Despite its obscurity and probable lack of popularity in its own time, I am devoting a post to it primarily because as a Yale alumna I am charmed whenever anyone names a dance after my alma mater. The York is a waltz variation which appeared in several American dance manuals in the last decade of the 19th century. The earliest reference I have located is in Melvin Gilbert's Round Dancing (Portland, Maine, 1890), where he includes it "by permission of E.W. Masters," possibly the creator. George Washington Lopp, who reprinted much of Gilbert in La Danse (Paris, 1903) directly attributes it to Masters. Unlike many of the variations included in Gilbert, the York seems to have enjoyed some minor success. Allen Dodworth did not include it in the first (1885) edition of his substantial tome, Dancing, but it appears in the 1900 edition in an appendix of recently developed dances which appear to be have been copied in large part from Marguerite Wilson's Dancing (Philadelphia, 1899). Wilson's fellow Philadelphian, dancing master Albert Newman, included it as "Yorke (Mazurka)" in his 1903 A Complete Practical Guide to Modern Society Dancing, and Wisconsin dancing master A.C. Wirth has "The Yorke" in his 1902 Complete Quadrille Call Book and Dancing Master. It also appears with identical language to Wirth's in D.F. Jay's A.B.C. Guide to Ballroom Dancing, published in Chicago around 1900, and M.I. Quick's Complete Guide to Dancing, also Chicago, 1903. All three midwestern manuals were probably plagiarized from a common source. La valse mazurka, dite la Cellarius. The Waltze-Mazurka, called the Cellarius. The Mazourka Valse, commonly called the Cellarius Valse. La Cellarius. The dance is described repeatedly and variously in dance manuals from the 1840s through the 1870s, generally referred to by the name of its composer, famed Parisian dancing master Henri Cellarius. 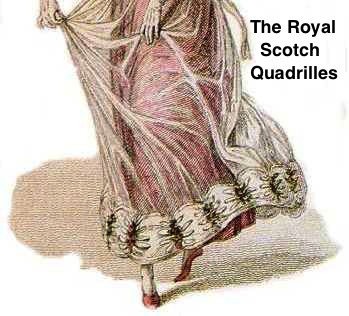 ...a Quadrille requiring eight persons or four couples to dance it, and the figures of the Mazourka being extremely intricate and too difficult for private parties, the idea suggested itself to M. Cellarius, of Paris, to change the form of the dance, and convert the Quadrille into a Valse, preserving the original step. This was no sooner done than it became the fureur of the Parisian circles, and it received the name of the Cellarius Valse, in compliment to the composer, although the proper name is the Mazourka Valse, in contradistinction to the Mazourka Quadrille.